Comparison of Two Airwheel Intelligent personal transporter Scooters: S3 or S5? Abstract: Which one is better, S3 or S5? Recently, Airwheel has introduced a new member of its S-series–S5, putting the consumers into a dilemma. Faced with these two electric scooters with similarly excellent features, they are a bit confused. Here is a result of comparison of the two models to serve as their reference. 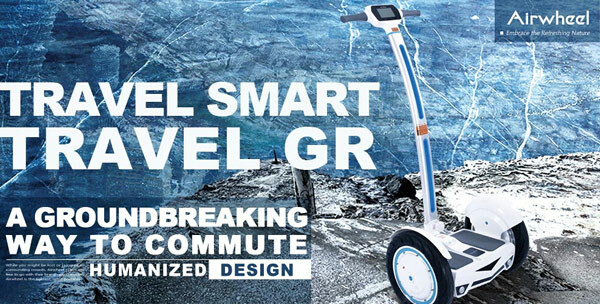 Many people like the intelligent scooter S-series by Airwheel. Although this series is designed for the metropolitan elites, quite a sum of salariats fancies it much. There used to be only two models of this series–S3 and S3T so consumers can still make a choice based on their preference of color. However, on June 18, another new member of the S-series–S5 was launched on the Airwheel product release conference. Out of sudden, consumers fall into a dilemma. Which one should they choose, S3 or S5? To choose the two-wheeled scooter S3 or S5, that is a question. This article is going to give the consumers some insights on this question by comparing the features of these two vehicles. Generally speaking, there are a lot in common among the models of the same series. In terms of S3 and S5, they both inherit the good quality of Airwheel products by adopting lithium-ion batteries, Cheng Shin tires and high-tech nanometer synthetic resin case. Also, they are both mounted with ultra-silent magnetic levitation motor and two built-in intelligent chips. Equipped with a 4-inch screen, they appear as a dashing and fashionable vehicle by taking after the Lamborghini style. Nevertheless, each model has its own merits. As to S3, its atmosphere lamp on the lever renders the whole vehicle cooler and brighter, which would easily catch the eyes of the public. Besides, its unique breathing light enables the S3 to be more internationally acknowledged by the consumers. Most notably, S3 is only half the price of S5, which probably wins lots of favors from consumers. And S5, as a new product of the series, it does much better in performance. With its large capacity battery and powerful motor, it has a stronger power and longer range. Thanks to the application of larger tires, S5 is able to negotiate any terrains smoothly. Whether it is S5 or S3, consumers should choose the one more suitable for themselves.